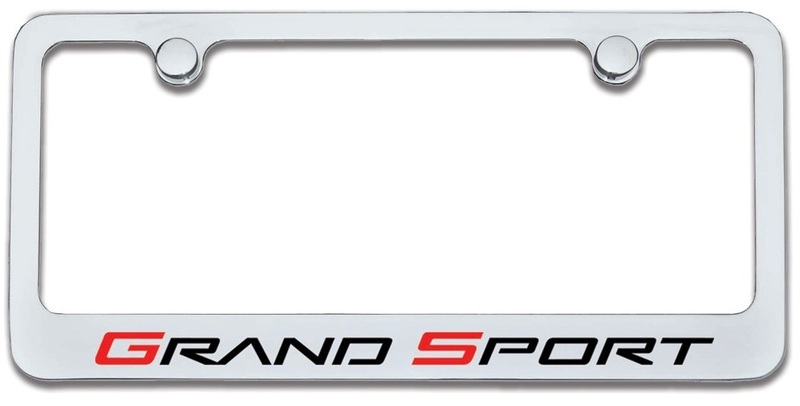 Dress up your C6 with the Grand Sport Logo License Plate Frame. The solid zinc construction is topped with a flashy triple chrome-plated finish. Adorning the frame, is the iconic Grand Sport script for aesthetic enhancement. 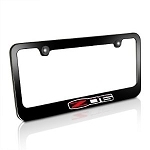 A CNC-machined ensures perfection of this long lasting, durable license frame. Due to the high-quality materials used, you won’t see any fading or rust to tarnish your Vette’s appearance. Each individually sold frame is easy to install as well. Simply use the original screws to fasten the frame firmly in place. To top it all off, 2 screw caps are included with your purchase as well. Dimensions (U.S. standard) are 12" x 6"